In the past, Ubisoft released separate versions of Just Dance games for kids (such as Just Dance Kids 2014), but it looks like this year, the publisher is taking a difference approach. Earlier this week, it was announced that Just Dance 2018 would get a Kids’ Mode, which is exactly what it sounds like: a special mode, tailored for kids. What’s different about this Kids’ Mode? A tailored interface, scoring (more generous, positive), and interface (with less text, and a random play mode), and even some special characters. It was designed to let kids enjoy the game in complete autonomy (perfect for parents who don’t want to set up things for their kids all the time), and it offers “positive and supportive feedback”. Ubisoft also claims it has been developed to be beneficial for kids’ motor development. After all, this mode was designed with the help of two child development experts: Martine Curtat-Cadet, childrens’ choreography expert, and Cristina Do Carmo De Sousa Gomes, childrens’ concept artist. Children aged between three and six quite often have difficulties reproducing fast and complex movements. The steps we have developed in these choreographies are associated with intentions that correspond to action verbs like running, climbing, flying, catching. Inevitably the child will learn and will integrate the choreographies naturally and not by imitation. Additionally, dancing really helps children to acquire scholarly skills like writing, reading and art as well. Eight songs have been choregraphed to encourage healthy movement, and overall, the choregraphies are much easier than the traditional Just Dance songs. What’s more, the special characters and backgrounds (pirates, supergirl, Halloween) are definitely easier for kids to identify with than faceless dancers in flashy backgrounds. 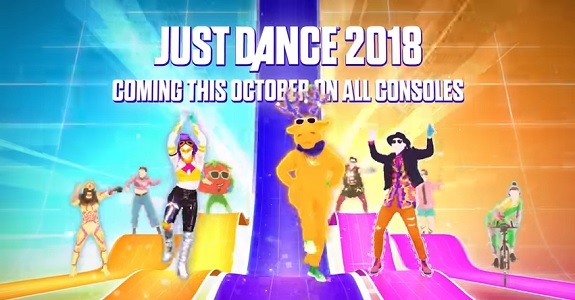 Just Dance 2018 (Wii, Wii U, Switch) comes out on October 24th in North America, and October 26th in Europe.